The OBDPro Compact interface measures 1 3/4" x 3 3/4" x 3/4" and is built for use around the workshop. It also supports variable baud rates from 9600 BPS to 500 KBPS. 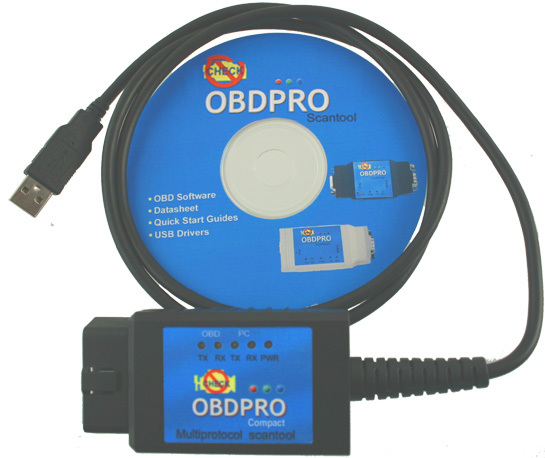 The ObdPro compact scantool comes complete with all the cables and software that you need to get started. All you need to provide is a laptop with a free USB port. The picture below shows everything that you get with your order. All of our products come with a 30 day unconditional money back guarantee and a 3 year warranty.